It's nice to see in these tough times that some relationships have some staying power, Case and point, EA and FIFA have just decided to renew their vows ahead of the next-generation of consoles. Under a new deal with FIFA, EA Sports will retain its exclusive rights to developer and publish football games bearing the FIFA brand. These include on-pitch games, management sims and even the the official World Cup tie-in title. "EA Sports released the first FIFA-branded soccer game in 1993, and 20 years later our partnership with FIFA continues to be very strong," said EA Sports head honcho Andrew Wilson. "Our franchise has become the benchmark for quality and innovation in the sports videogame genre, and we look forward to many more years of connecting with consumers around the world with our games carrying the prestigious FIFA name," he added. The new deal gives EA Sports exclusive rights to the FIFA license until December 31st, 2022. 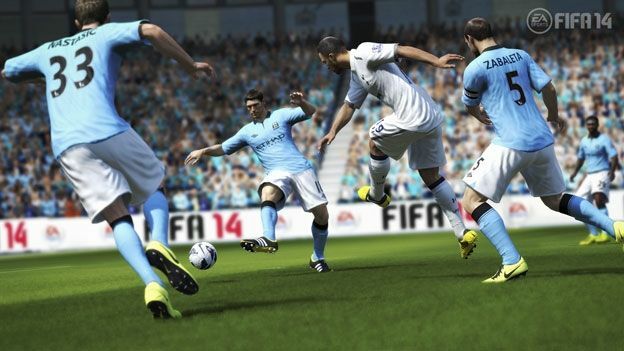 FIFA is easily one of the biggest franchises EA publishes on an annual basis. The latest installment, FIFA 14, has already been confirmed for Xbox 360, PS3 and PC, and there has been news that versions for "additional formats" are in the pipeline. Although there's been no official confirmation from EA as yet, GAME is listing FIFA 14's release date as October 4th, 2013.